In this savory third mystery featuring the Flab Five, James Henry is looking to add a little more spice to his life. Despite his trimmer waistline, his girlfriend Lucy's affections for him seem to have inexplicably cooled. So when Lindy suggests the supper club members join a Mexican cooking class, James leaps at the chance to try something new. The Flab Five's classmates include Shenandoah Star Ledger editor Murphy Alistair and twin sisters with supermodel physiques. When one of the sisters is murdered during a school field trip to Luray Caverns, the amateur sleuths set out to catch the killer. The Flab Five has to work fast because the evidence points toward Lindy. Between his sleuthing, and his attempts to reduce his salt intake, improve his relationship with his father, and find the owner of a winning lottery ticket left in the library's book drop, James's winter is really heating up. I love the Flab 5! 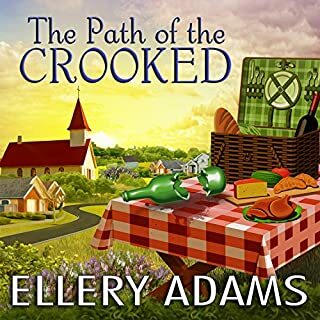 I love Ellery’s work, and what sets her books apart is the incredible character development. I feel like I really truly know the flab five & I’m invested in their lives, which are not predictable or mundane. Everything in the plot feels real and authentic, including the interpersonal relationships & the ups and downs that come with that. If you can, start at book 1 of this series because it makes it that much richer. 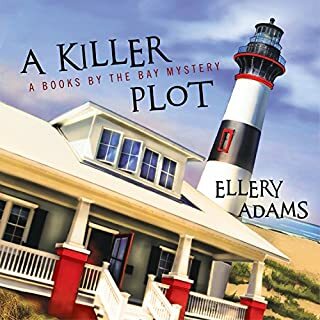 The mystery in this book was well done, and I had no idea who the killer was (it was a surprise to me). Well narrated as always by Karen White! 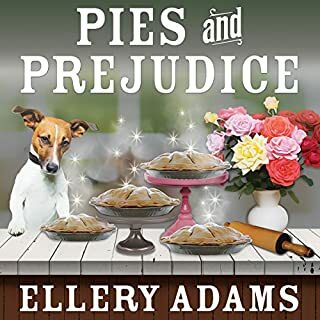 I have come to love this series by Ellery Adams. This book has topped the others, however. It is intriguing and suspenseful. It has plot twist after plot twist. I’m headed to start the next one! 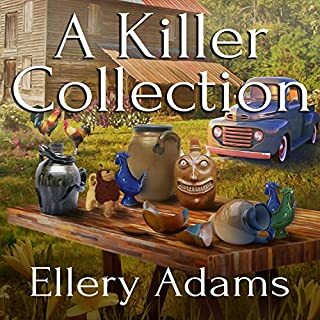 I like the series, but am finding that this series just doesn't compare with Ellery Adams' other series . 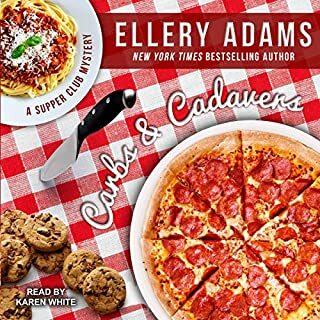 . . the murder mysteries in the Supper Club books are good, but the diet antics are getting harder to deal with . . . getting old, in fact . . . the Flab Five, the friends in the weight loss group, are great, but the premise is getting thin . . . and for the first time, I was disappointed in the relationship choices made . . . that went a little over the line for this G rated series, in my opinion . . . don't think I will go on to the next in the series . 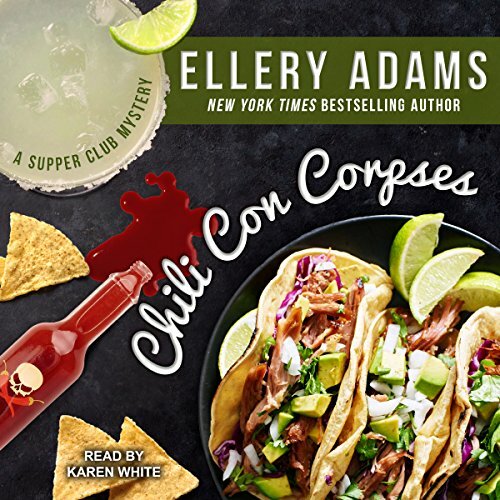 . .
Ellery Adams's Chili con Corpses gives a creative third entry into her Supper Club series. The group have gotten bored of their diet, though all have lost significant weight, so the group is excited to join a cooking class to give themselves a break from the bland food they have been tired of. But Lucy, close to her goal of becoming a sheriff's deputy, has been blowing off her friends, and even worse, her boyfriend, James. So when Lindy, the high school art teacher, gets the members of the Supper Club to help chaperone her field trip to a local cave for her students to study light and shadow, she becomes unhappy with Lucy for canceling in order not to miss her exercise class. Along with the four remaining members, the adults include the principal, a new teacher at the school, and the grandfather of one of the students. At the cave, James patrols his location, but then one of the students runs into him because she has found the new teacher, Kinsley Willis, murdered. As the police begin to investigate, James and Lindy learn that the body was not that of Kinsley, the new teacher, but rather her identical twin sister, Parker, a veterinarian. What adds to the drama is the fact that Lindy harbors plenty of jealousy towards the very hot Kinsley because of both women's interest in Principal Chavez, whom Lindy has wanted to ask out for years but has been waiting to get in better shape to impress the principal. But even more upsetting than the confusion over the identity of the murdered woman, they all suddenly realize that Mr. Sneed, the grandfather of student Adam, has not been seen since before the murder. And when the police call Adam's parents, they learn that none of the boy's grandparents were still alive, exposing the man as an imposter. The night of the murder, after all the stress of his experience, James calls Lucy to ask her to join him at the bar. There they have a big fight, leading to the couple's breaking up. What a miserable day for James! However, this break-up seems a God-send to Murphy, the editor of the local newspaper, who has long had romantic intentions towards James. Since Parker was Murphy's college roommate, Murphy has a powerful desire to solve the murder of her good friend and enlists James to help her, as he did once before. This causes James internal conflict about which woman he truly wants: Lucy, whom he has dated for several months but who not only has been retreating from him and refusing to move their relationship move past the PG level, or Murphy, who clearly wants him and is eager to investigate with him. I liked this addition to the Supper Club series. While the first two books were enjoyable, Chili con Corpses has a little extra spirit and plot to make it sparkle a bit more than the previous two. 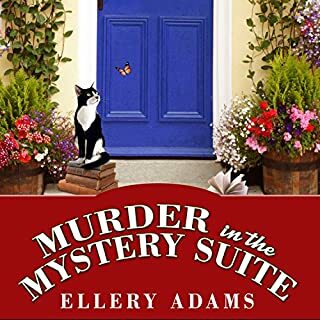 The murder plot was creative, with several interesting twists and angles to it. In addition, each member of the team contributes individually at times instead of completely as a unit, as they did in most of the previous two books. I like the character development found in the book. The books in this series primarily use a third person limited point of view, focusing on the perspective of James, but this does shift away from that periodically. Personally, I would prefer a book to stick with either one style or the other, as the shift becomes a little discordant. But James does come across as a rounder character than he does in the previous two books. I like seeing the developing relationship between James and his father as well. Karen White performs the audio version of this book. She creates strong voices for each character and effective inflections as she reads the book. My one complaint is that her voicing of Gary, a New Yorker, does not sound like the New York accents I am familiar with, though I admit not to having spent time in New York or with very many New Yorkers. But Gary does not speak many lines, so this was not a significant issue. Other than this, I liked the performance of White in this book. Chili con Corpses was a very fun book. I thought it stronger than the first two in the series and really liked the conclusion. I am looking forward to the next book in the series. I give this book four stars. I hope all of the books in this series are released with Audible. I love this series.